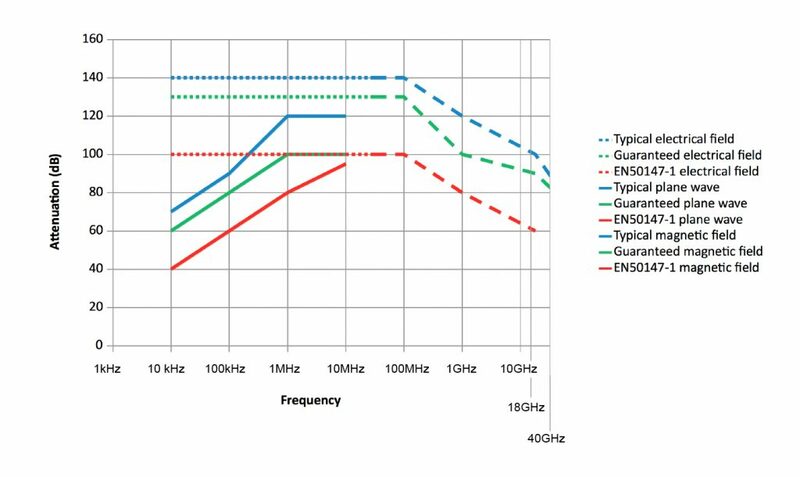 Due to increased environmental electromagnetic pollution, sensitive and accurate measurements are often affected by RF noise. The application of Comtest RF shielded rooms provides the highest possible shielding attenuation, creating a controlled electromagnetic environment to perform high sensitive testing without distortion. Whether you’re performing sensitive research in an anechoic chamber, working in a reverberation chamber or handling confidential data in a crisis control center, high-quality RF shielded rooms are required to protect your work from electromagnetic interference or possible interception. Comtest has over thirty years of experience with the design and manufacturing of high-quality RF shielded doors and RF shielding. Our controlled electromagnetic environments come with the highest possible shielding attenuation. For more information, please contact our engineers via +31 71 541 75 31. 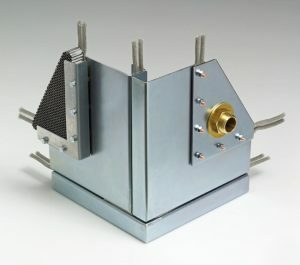 RF shielding is established by constructing the chambers from a 2mm pan-type galvanized panel system. 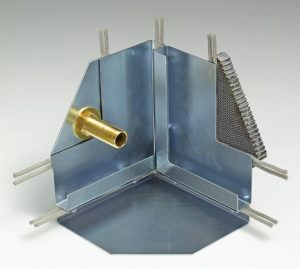 The corners of the shielded panels are welded, spray galvanized and assembled with special fasteners M10 on a pitch of 150mm. These fasteners are installed upon a pre-defined torque to ensure a long life RF shielding attenuation. Between the flanges of the RF shielded panels, a high performance gasket is carefully installed. This construction is based on best practices and provides the highest RF shielding performance for both military and industrial applications. Furthermore, the design eliminates the need for welding, cutting or sawing allowing quick and clean on-site installation. As a result of our continuous efforts to use only the very best components for our products and our dedication to innovation, Comtest Engineering is using a new type of galvanized sheet metal plate material for the production of shielded panels. This new material is called ZMA-140 or Magi Zinc. It is a newly developed, hot dip galvanizing coating on steel with improved corrosion protection properties. The shielding effectiveness characteristics of our chambers are the same or even slightly improved by using ZMA-140 compared to Zinc-275. The long-life performance of the panels is definitely improved. The use of ZMA-140 offers several benefits over Zinc-275: it’s less harmful to the environment due to a decreased use of zinc, it offers a much better corrosion resistance and it’s high attenuation characteristics will not diminish under normal ambient conditions. All RF shielded rooms, reverberation and anechoic chambers supplied by Comtest Engineering are built as a modular concept by using the components in our product range as building blocks. This enables us to supply many different and unique solutions in almost every dimension and form. Depending on the application, the flanges of the shielded panels can be installed on the inside. This allows the chamber to be positioned close to the existing walls of the parent building. Upon request, RF shielded rooms can be lined with plasterboard walls and a suspended ceiling. The floor of the shield room can be constructed using wood with a vinyl topping flush to the door threshold. In a control room or data center, the floor can be constructed as a raised computer floor to enable easy cable routing. The raised computer floor is constructed using standard anti-static floor tiles onto adjustable pedestals in order to withstand a minimum average floor load of 500 kg/m2. A raised computer floor system provides a flush and threshold-less entrance to the control or amplifier room when the chamber is built inside a floor pit. Comtest can rely on more than three decades worth of experience to deliver high-quality RF shielded rooms that are specifically designed for your needs. Because we understand the value of your research and the importance of your work, Comtest’s number one priority is to finish its projects on schedule, on budget and exactly according to your specifications. Do you want to know more about Comtest and our RF shielded rooms? Our engineers will happily discuss the possibilities during a phone call or an introductory meeting. Contact us at +31 71 541 75 31 or use our online contact forms.